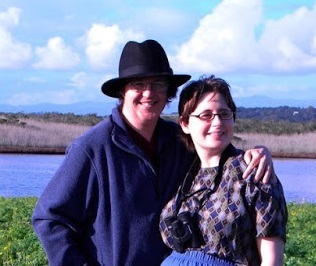 For those of you who haven't heard yet, my father-in-law has been fighting cancer for the last year. Unfortunately, he's fought the good fight but due to masses of blood clots in his head, they cannot finish the job. So he is now in hospice care at home. As you can imagine my wife, myself, and our family are devastated and are trying to spend as much time with him as we can. So I won't be posting as much, but I don't want my readers to be left without much new here. So I'm offering you all the chance to post articles about writing here on my blog. Feel free to push a book or books of yours, but please offer some tidbits or story about an aspect of writing and how it affected that particular book(s). I'm looking for insights into plot, editing, characters, development, rewrites, cover art, publishing, agents, self-publishing, etc. Again, all I ask is that if your pushing book, make sure the article connects to it. 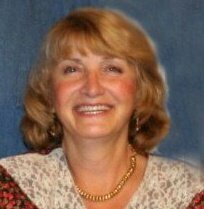 On this week's blog I'm proud to introduce author Cherley Grogg, who is about to release her latest children's novel "THE SECRET IN GRANDMA'S TRUNK". This book will be on Amazon starting July 29th and will be available on Kindle for FREE the 29th-31st. So please welcome my guest, Cherley. I've been on a writing roll recently with novel #2 "THE SHIP". I mean I got some serious wordage down, like over 10,000 words in a couple of days, which I thought was impressive. But then it happened... I hit a wall. Not literally of course, just figuratively. My story suddenly ground to a halt and I had no idea how to get out of the corner I'd put myself in. Sometimes, writing can be like going through a maze. You go straight, come to a junction turn right, go a ways, make a left, straight, another left, etc. and you really feel like you're making progress. In fact, you'll be out of this thing in no time... then you come to a dead end and you have no idea what went wrong. Sometimes, you can pull out a hammer and chisel, or a huge drill like Wile E Coyote in the old Roadrunner cartoons and make your own way out. Okay gang, I've got something different for you all today. A writing exercise. I did one of these a while back and it was well received. I hope this one will also be as popular. Sometimes when we're writing, pacing can be an issue. We have characters who can't (or won't in some stubborn cases) leave a room or a scene which winds up becoming stagnant and boring for the reader. As writers, it's up to us to keep things interesting with every scene. Other times we rush through a whole bunch of events within a few pages so things become a mish-mash of actions that might have been better off being spaced out across the entire story instead of clumped together. Well, as you all know last month I did my first free promo on Amazon, where 400 people snatched up their own Kindle copy of my paranormal/mystery "THE BRIDGE". Now, one of the things that inspired me to take that risk was the fact that I'd read in many different articles and blogs, that such a promo could help actual paying sales. Those who grabbed a copy start spreading the word about how much they liked the book and tell others to get their own copy. I can safely say, I've seen a slight increase in the number of actual purchased copies of the book, but nothing astronomical. PLEASE HELP SPREAD THE WORD... 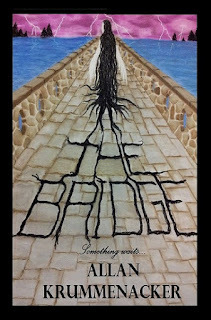 There is only until midnight tonight (July 7th, Pacific Standard Time) to get my debut paranormal/mystery "THE BRIDGE" on Kindle at the special price of only .99 cents. If you or someone you know likes ghosts, horror, psychics and the feel of the Twilight Zone, this is the one you want to have and read in your Kindle. The sequel to this breakout series will be coming in October. So don't miss out. Starting today, I'm running a 4th of July special. From now until midnight Sunday July 7th, you can get the Kindle version of my paranormal/mystery "THE BRIDGE" for just $0.99 cents. And if you've already gotten a copy, share the link and the special with others so they can take advantage of this limited time offer. Happy 4th of July all everyone, and stay safe!